Discover the beauty of Sardinia in the months of low season: the mild climate and the lower influx of tourists will make your stay really relaxing! Sardinia is a land to live all year round: in spring or early autumn its crystal clear waters and beaches of fine white sand take on unexpected colors and unique shades, while the Mediterranean intoxicates the air of scents unknown to those who visit this island in summer. April, May and September are also the best months for holidays with the family or as a couple, in complete relaxation, without the flow of tourists who crowd the beaches and towns of Sardinia in the hottest months, and are also the periods in which to discover more calmly the ancient traditions of this land and its nature trails, in the green or by sea. For this reason we advise you to keep an eye on our offers for the Village Isola dei Gabbiani, to be able to come to Sardinia in low season at the best price guaranteed! 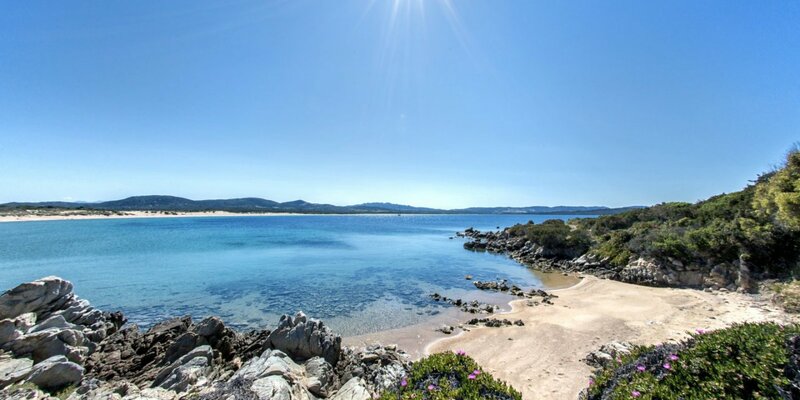 The panoramic position and surrounded by nature of our Holiday Village allows you to fully enjoy the beauty of this stretch of coast of North Sardinia, with all the services of a quality Holiday Village and the opportunity to take advantage of discounts and last minute offers not to be missed! Take advantage of the Incredible Early Booking Offer! Don't waste time, block the price for your holiday in Sardinia 2019! Book by 28 February to get the best price and many advantages during your stay at Village Isola dei Gabbiani. Our village is suitable for families and children, and we offer special treatment to our young guests! With the offer Families children stay for free for the duration of the holiday! Take advantage of this amazing offer and choose our Village for your next holiday in Sardinia with the family! The Village Isola dei Gabbiani has a great offer, including ferry transport, to plan your stay in Sardinia without worries. You only have to choose the dates of your holiday, everything else is taken care of by our booking office. The Isola dei Gabbiani Holiday Village offers for the 25th April in Sardinia and for the whole month an unmissable offer that will give you a holiday dedicated to the sea, relaxation and water sports such as canoeing or windsurfing. At Isola dei Gabbiani you can enjoy your spring holiday in Sardinia taking advantage of our special offer reserved for the month of May. A month that anticipates the summer, offering long and sunny days, ideal for enjoying the north of Sardinia in relaxation, away from the crowds of tourists and excessive heat. If you love the less crowded beaches, the warm but not scorching sun and the colours of September, our special offers for the low season are ideal to book your holiday in Northern Sardinia.